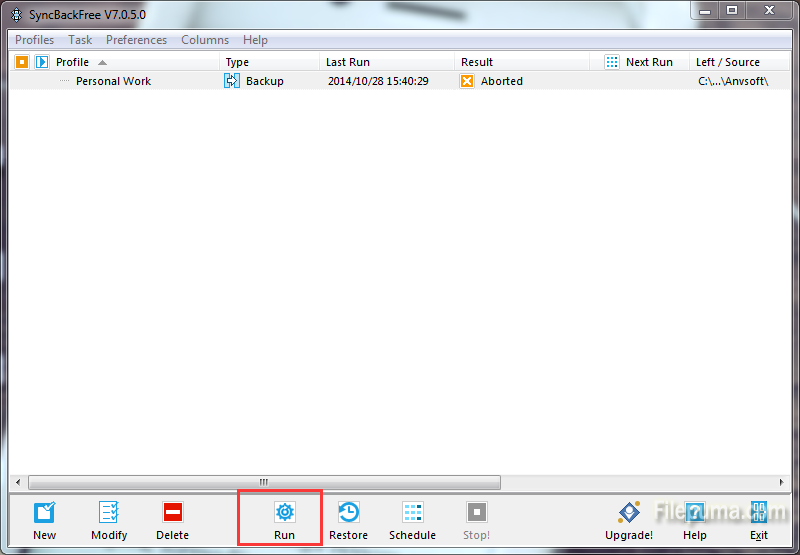 As a straightforward backup utility makes it a snap to safeguard and synchronize your files, and its freeware price just sweetens the deal. 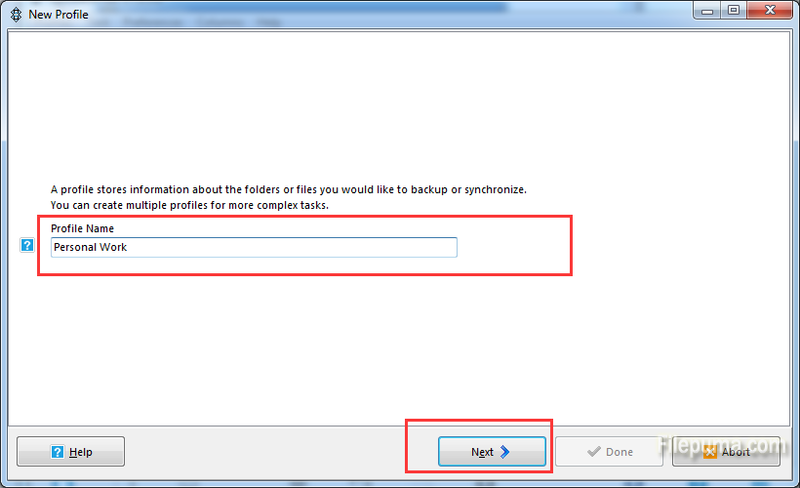 Here is the instruction to let you know how to make SyncBack backup files from one location to another. In other words, we will copy the files to a new location so if the original files are deleted or changed, it will be very easy to restore them once we feel regret. 2. 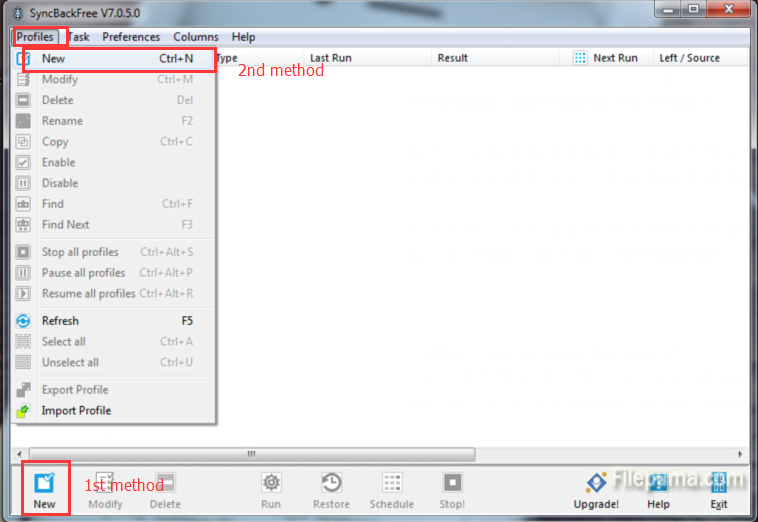 Click the “New” button of the program window or go to “Profiles” and click on “Mew” button. 3. 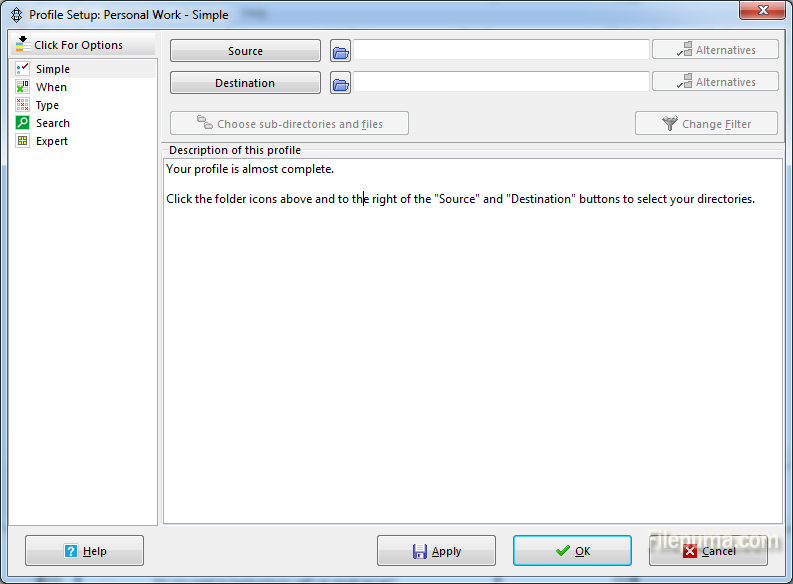 Enter a new name that describes the task you want to achieve for your new profile. Click “Next” to the next window. 4. 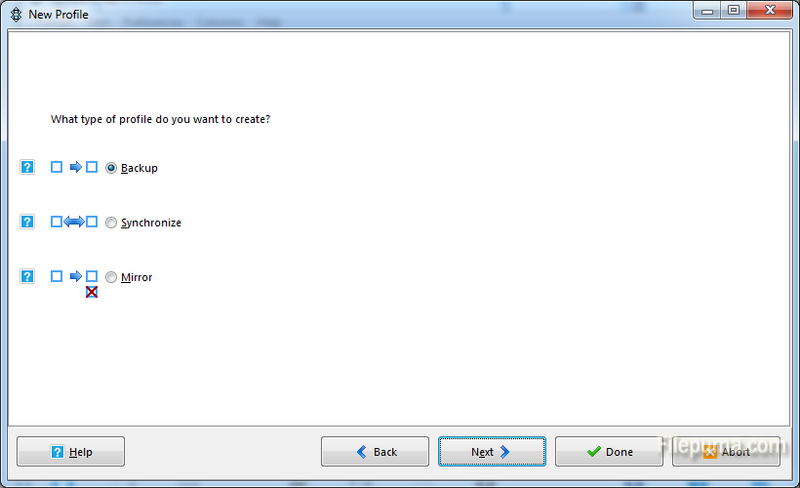 Choose the type you want to create, you can choose “Backup” “Synchronize” “Mirror”. Click “Next” to the next window. 5. 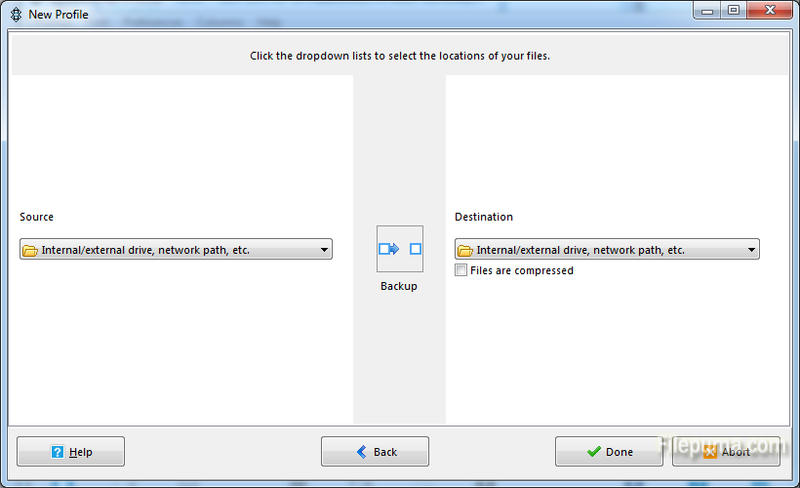 Select the locations of your files in the dropdown lists. And then it will pop up a window which will open the main profile setup windows so that you can have the opportunity to make changes to the profile. 6. Click “Done” or click “Run” to run the profile.